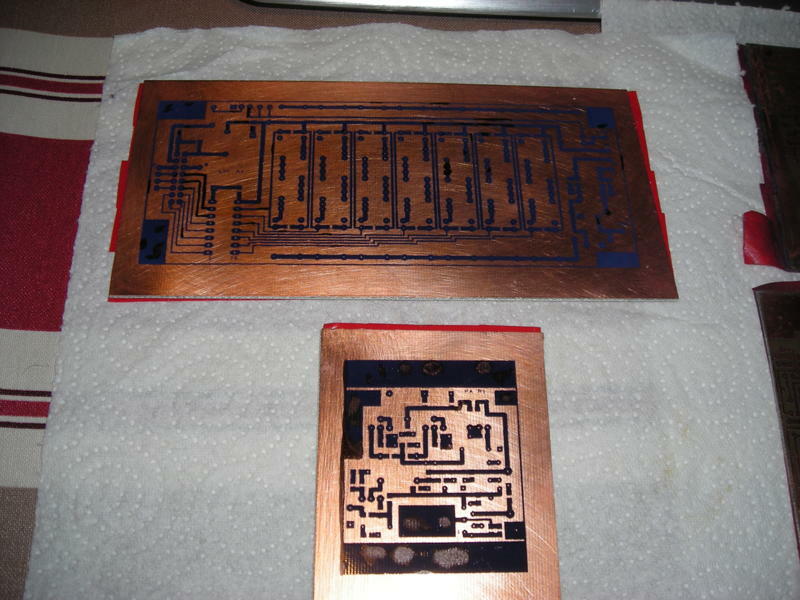 Project group ok'd it so I'll add ExpressPCB layouts for the PCB on the yahoo group as I create them. Please be warned check them before you use them and needless to say if you see an issue please advise. 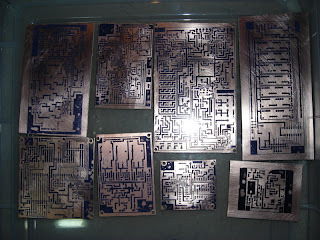 I was asked if an electronic version of the PCB masks exist for the project. 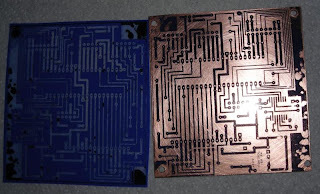 They don't and as I like using it I have started to create Express PCB versions of the PCB. This is the control board. Note I have used the NARROW SOIC-16 version of the MAX232/ST232 SMD I will also consider the normal DIL version too. The layout are sized exactly the same as the originals and generally will follow the original layouts, right now no bottom layer tracks exist on this image on the blog. 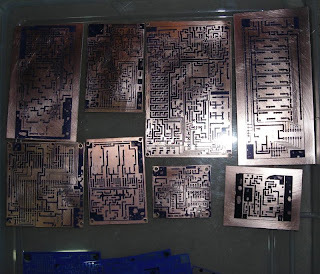 I'll work through all the boards and possibly build up an alternative making a few additions, I may produce a layout using SMD components where possible for many of the discrete components especially the R and C.
Note I do not create the .sch files just the .pcb files. I'll wait to hear from the project group if they mind these being shared. Le même que ci-dessus en français pauvres. Apologie de langue maternelle française. 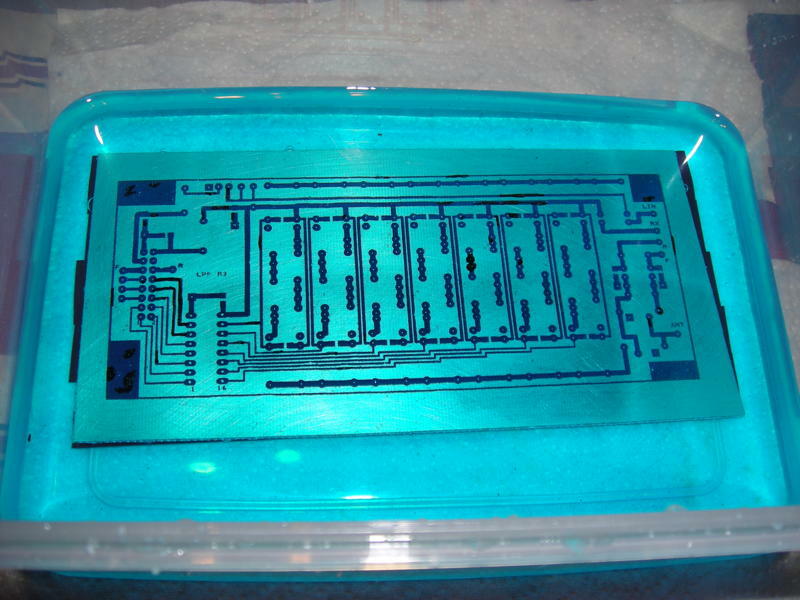 On m'a demandé si une version électronique des masques PCB existent pour le projet. Ils ne sont pas et que je veux l'utiliser, j'ai commencé à créer des versions Express PCB de la carte. C'est le tableau de commande. Remarque, j'ai utilisé le ETROIT SOIC-16 version de la MAX232/ST232 SMD Je vais également examiner la version DIL normal aussi. La mise en page sont exactement les mêmes dimensions que les originaux et en général suivront la mise en page originale, à l'heure actuelle aucune piste couche de fond existent sur cette image sur le blog. Je vais travailler par tous les conseils et peut-être constituer une alternative faire quelques ajouts, je peux réaliser une maquette en utilisant des composants SMD, si possible pour de nombreux composants discrets en particulier la R et C.
Note Je ne crée pas les fichiers sch. 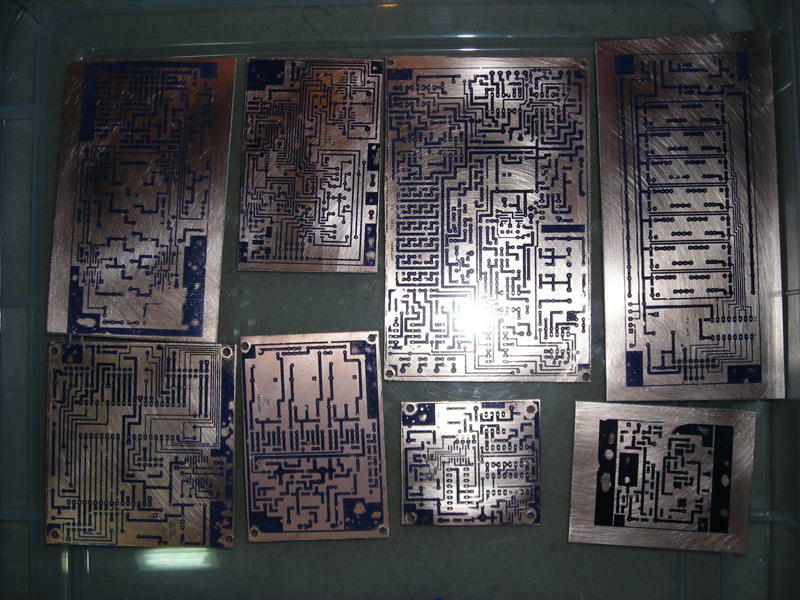 Seulement les fichiers de pcb..
Je vais attendre d'entendre le groupe de projet si elles l'esprit ces partagé. 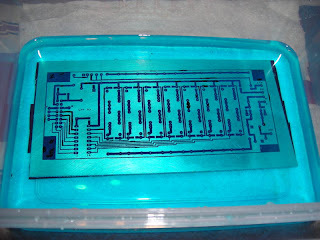 The prepared Control PCB is fitted with all the IDC sockets and wire links including all the wire links through the board so the ground plane is connected both sides. 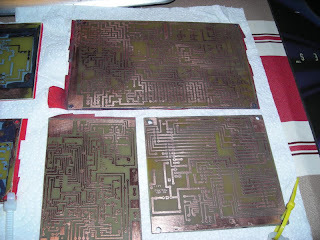 In the above photograph you can see I have prepaced some of the components before continuing. 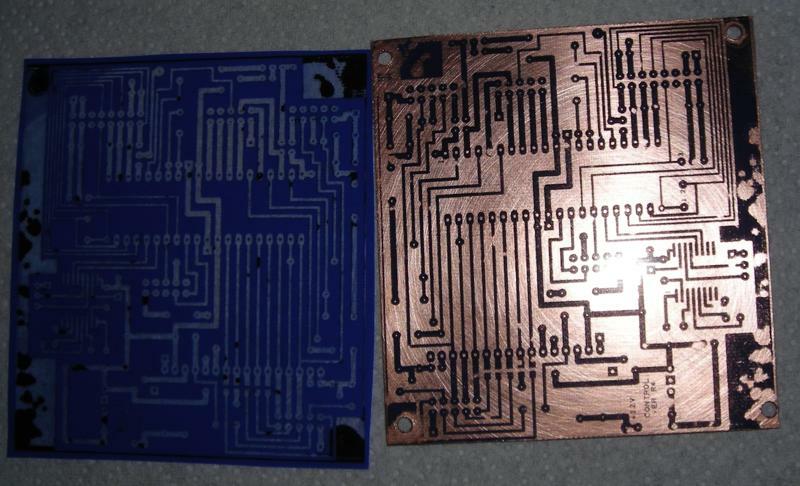 On the reverse side there are just two wire links, 5 2K2 SMD resisors and the ST232 SOP SMD IC. Note if you are going to use the project group PCB masks you need to use the ST232CWR WIDE body version. I am building from one of the component sets I previously put together, I printed off a copy of the yahoo group spreadsheet to mark off the components. 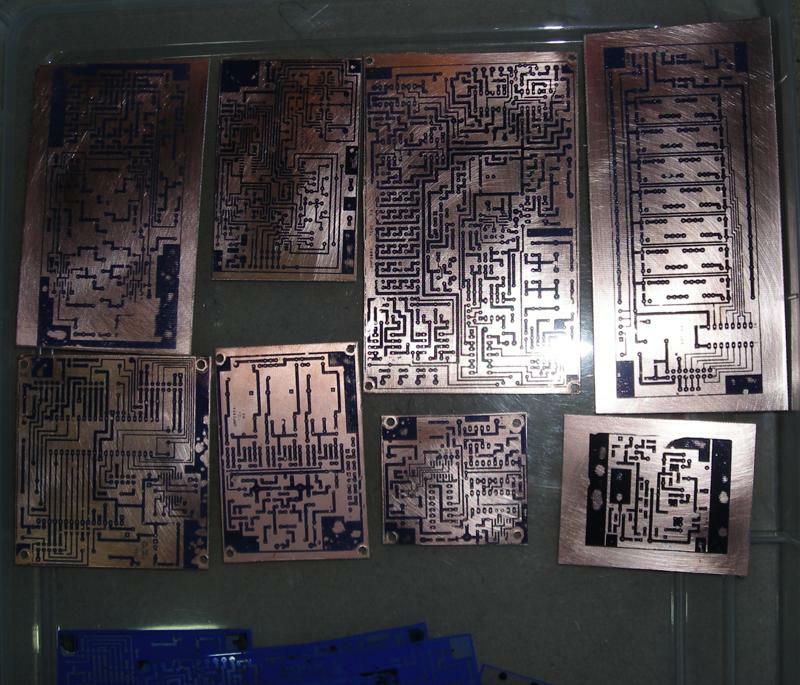 I have a number of bags that I have presorted the components into according to the boards. The LCD connections to the Control Board I have used a SIL connection strip and it is connected to the LCD by a length of ribbon cable. 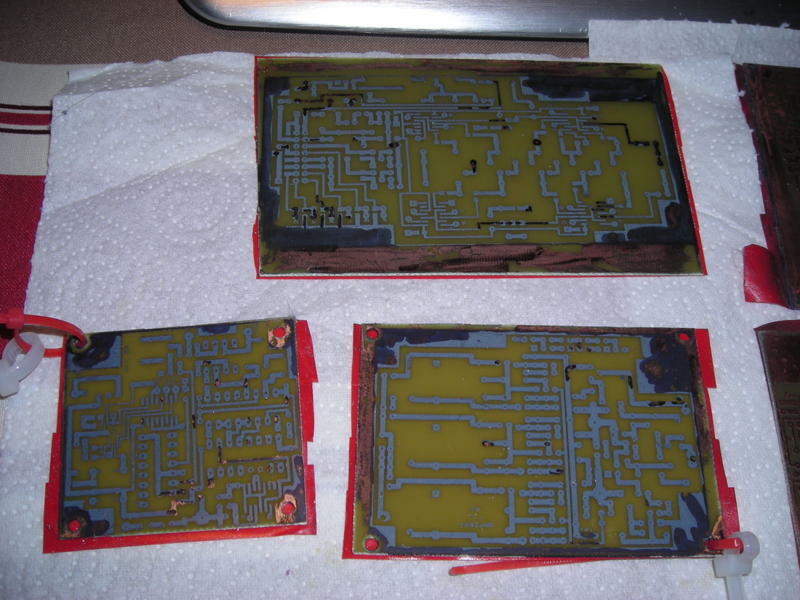 The 7805 regulator will need mounting hardware as well. PLL photos with the tiny AD9835 tracks. Note the laser was on draft 300dpi hence the slight dotty nature of the tracks I have done this as I wanted to test out the process. Tinning will cover these. This was after just 15 minutes in tin solution. 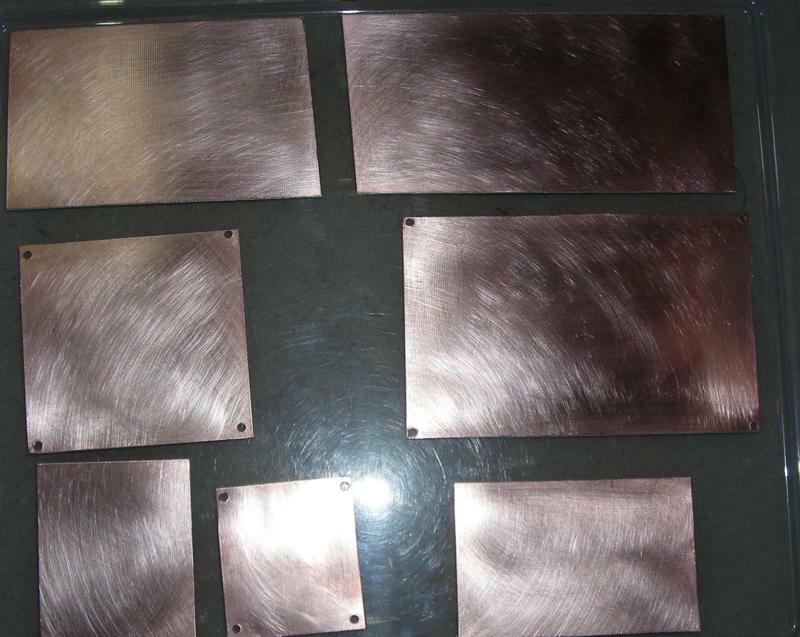 Series of photos as the boards are made up. All the boards then same again bit touched up. The resist layer cleaned off.